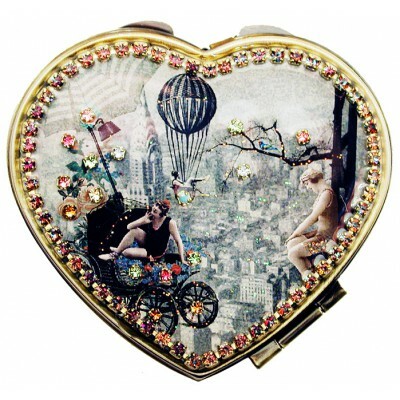 Michal Negrin heart shaped compact mirror. 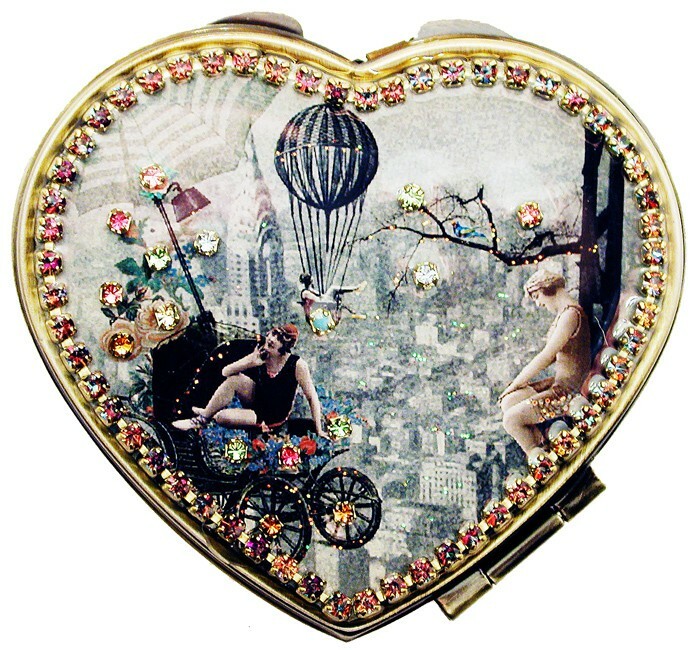 With a New York 1920's style pattern, Swarovski crystals and glitter. Includes one regular mirror and one magnifying mirror.